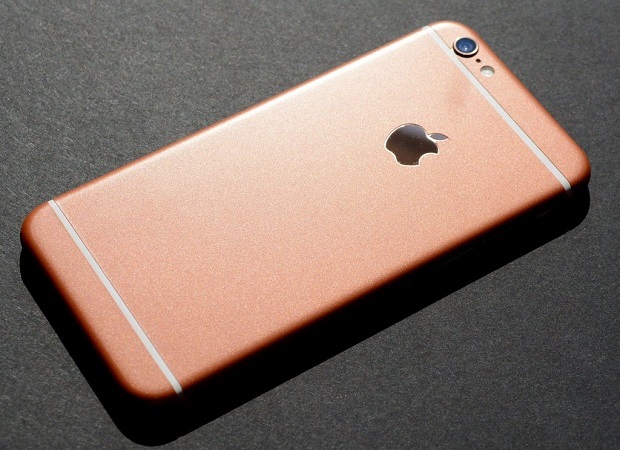 The #Apple #iPhone 6 is a 2014 model which until now still has a strong consumer base. Although the phone is not available for order in the Apple website anymore there are still a lot of brick and mortar stores selling this device brand new. As a 3 year old model don’t expect it to outperform some of the latest iPhone models such as the iPhone 7. This phone however can still perform quite well which is why a lot of people are still using it. There are instances when certain issues can occur on this phone which we will be addressing today. In this latest installment of our troubleshooting series we will tackle the iPhone 6 screen went blank not turning on issue & other related problems. Problem: Hi. So out of nowhere my iphone screen went white with very very tiny pink lines going down it vertically and then it shut off. Ever since, I can’t get it to turn back on. The screen stays black. I have no idea whether or not it is on but I don’t think so. I got this phone a month ago and it hasn’t see any damage. My fingers were sweaty when it happened, but nothing to the point of it leaking and dripping down into any crevices. I’ve tried resetting it and putting it in DFU mode and even restoring it from iTunes. Before I reset it, iTunes said there was a problem and it needed to be updated or restored. Updating didn’t do anything and I’m hoping restoring helps but I doubt it. Related Problem: Today I was using my iphone and it was perfectly fine, everything worked only it was a little hot on the top right corner of the screen. When I went to check my phone 10 minutes later, I couldn’t see the screen, so I told siri to turn the brightness up but she replied telling me my screen was already at maximum brightness. When I looked at the screen, I could verrrry faintly see a white patch that was on my wallpaper. But now a few hours later, there’s no display, it’s all black and now it won’t even turn on. My phone is charged and everything… very upset as I’m leaving for vacation tomorrow and I wanted to take a lot of pictures. Please help, I tried following your black screen problem article and it didn’t work no matter what I tried. Solution: What you will want to do first in this case is to make sure that the battery has sufficient charge to turn on the phone. To do this you should follow the troubleshooting steps listed below. Clean the charging port of the phone using a can of compressed air making sure that any dirt or debris gets removed. Charge your phone for at least 20 minutes using a charging cord and wall charger that has been tested to work on another device. If the phone charger then check if it turns on. If it doesn’t then try placing your phone in recovery mode then restore it using iTunes. In case the phone does not charge, does not turn on, or can’t be restored then you will need to bring the phone to an authorized service center and have it checked. Solution: Unfortunately in this case it looks like the display has been physically damaged already. In order to fix this problem you will need to have the display assembly replaced at an authorized service center. Problem: Hi, I have an iPhone 6 that i bought about 2,5 years ago. Recently I got my battery replaced because it took too long to charge and the usage time before it died was short. It work fine after that for about a month but today it suddenly stopped charging at all. I’ve tried multiple chargers, cords, plugs and outlets – none of them worked. I also tried some of the basic techniques like rebooting my phone and cleaning the charging port. None of those helped. Although I should admit that I drop my phone quite frequently, but none of those falls were significant or from a big hight. Please help me figure out how to fix my phone without having to go to the repair shop. Solution: If you have already cleaned the charging port of the phone and also used different cords and wall chargers then the issue could be caused by an internal component that is failing to work. This might be due to a faulty battery or power IC. The best way to proceed in this case is to bring the phone to an authorized service center and have it checked. Solution: It looks like the power IC chip of the phone is faulty. The best way to know if this is the case is to bring the phone to an authorized service center and have it checked.